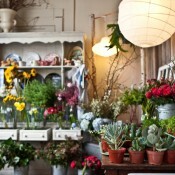 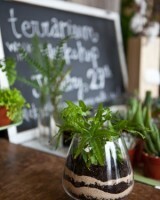 Last weekend I visited the adorable Chicago floral shop Fleur and learned to build a beautiful and simple terrarium! 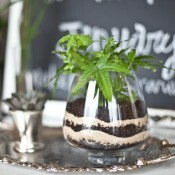 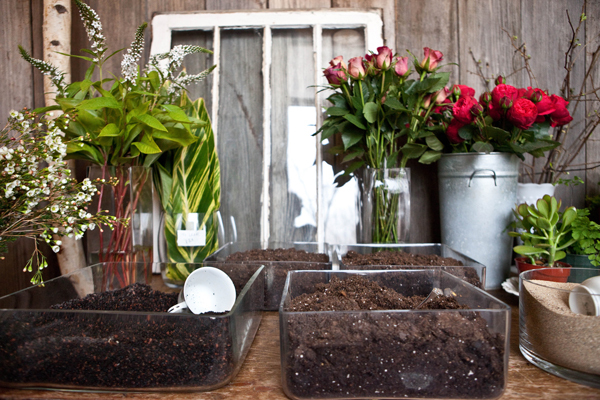 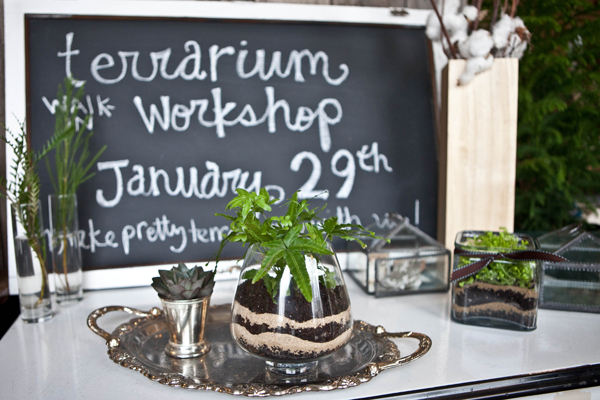 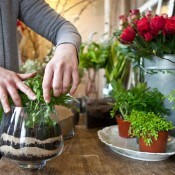 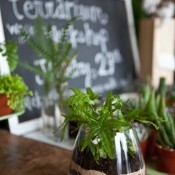 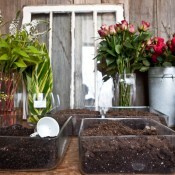 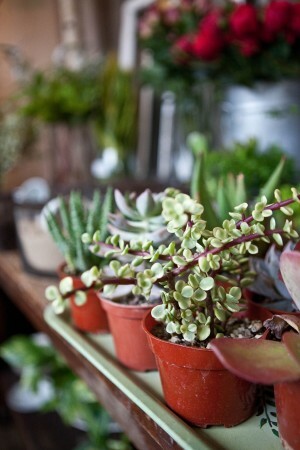 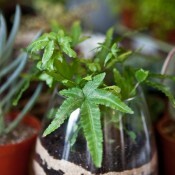 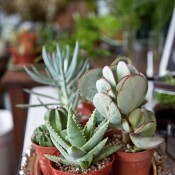 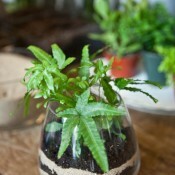 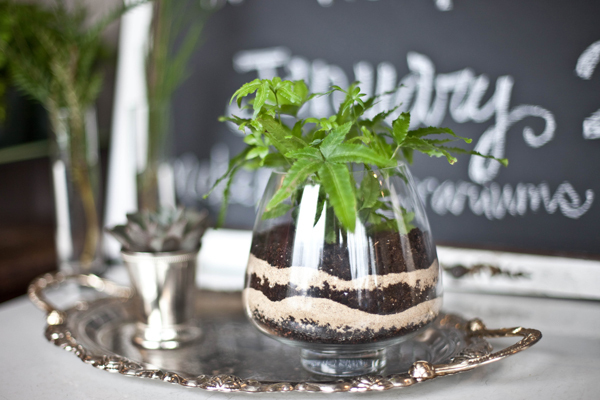 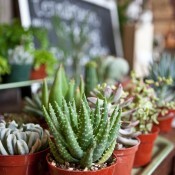 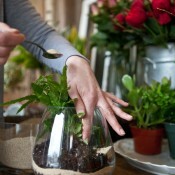 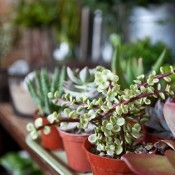 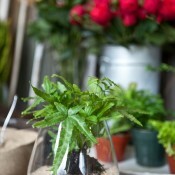 Terrariums are perfect housewarming or hostess gifts, or easy create-ahead centerpieces. 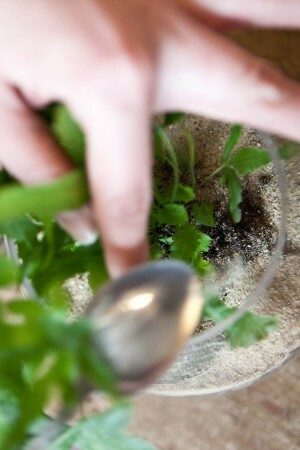 They are simpler to make than you think, and (bonus!) 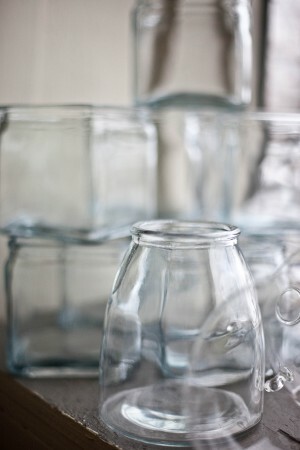 they last a long time and require little attention. 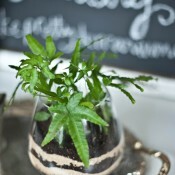 Follow along below or view the printable instructions here. 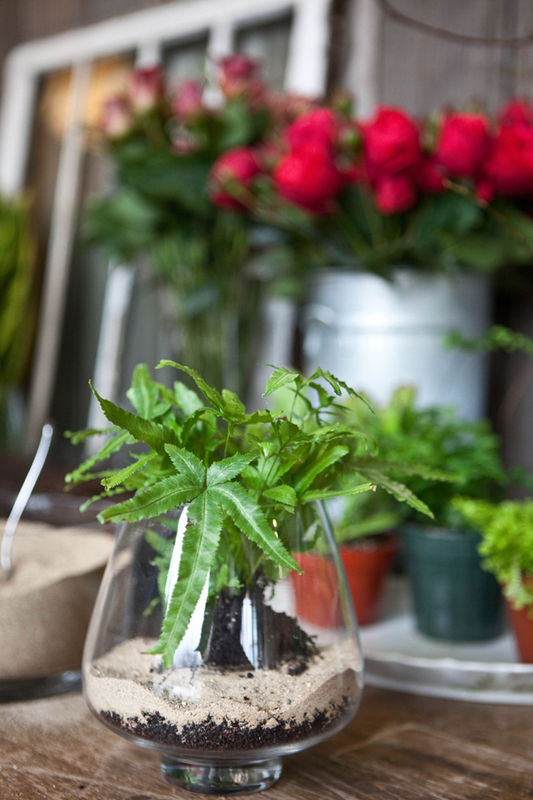 You can purchase small plants as well as gravel, pebbles, sand, and soil at your local home and garden store, and the charcoal can be found at any pet store. 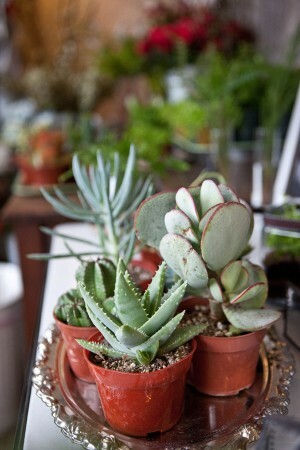 Historically ferns have been used in terrariums (that’s what we used in ours), but succulents are also a fun and easy plant to create with. 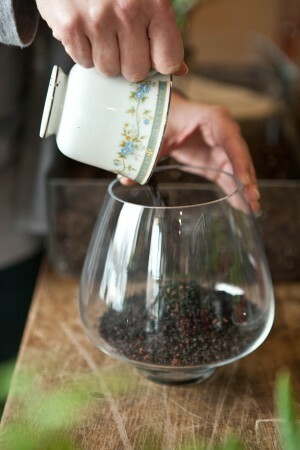 1) Mix charcoal and pebbles. 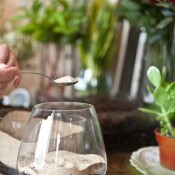 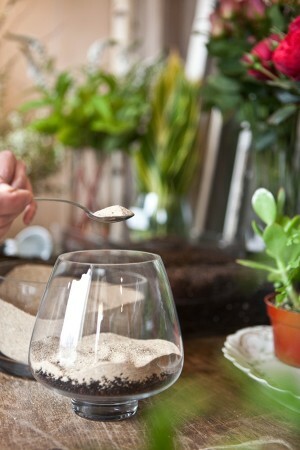 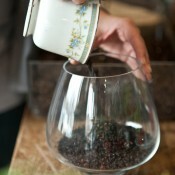 Fill your vase with a layer of the mixture. 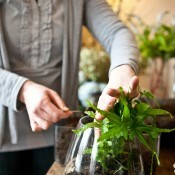 This is going to allow oxygen down into the bottom of the glass. 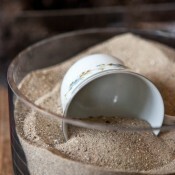 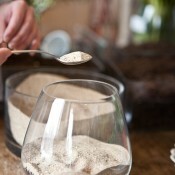 2) Add a layer of coarse sand. 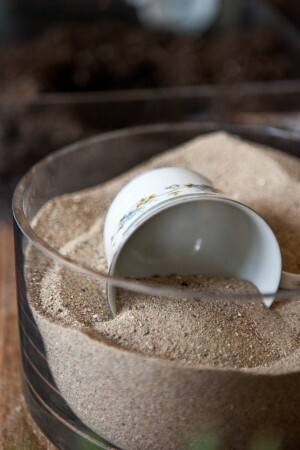 It’s important that it’s coarse so that oxygen can move around. 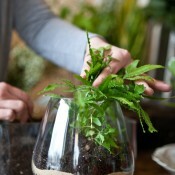 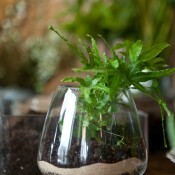 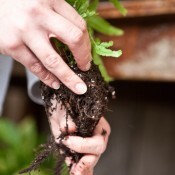 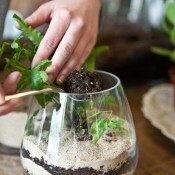 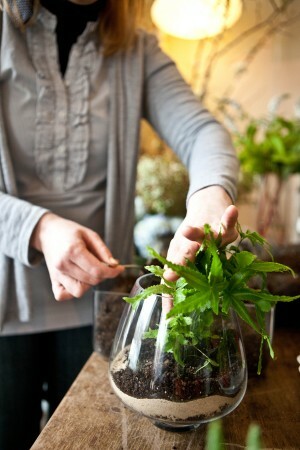 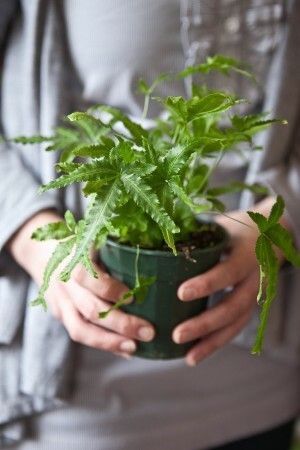 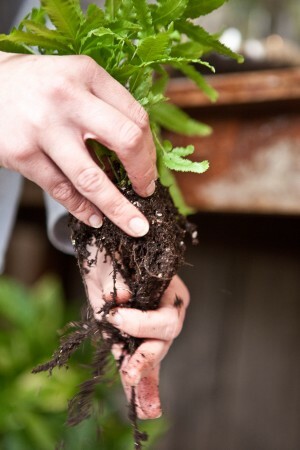 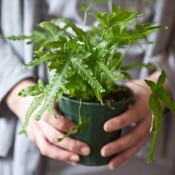 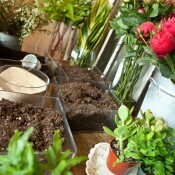 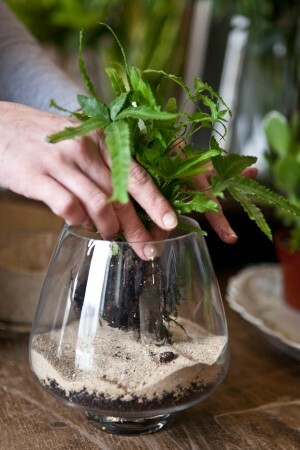 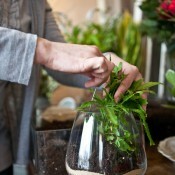 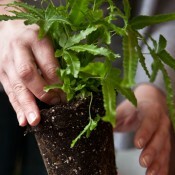 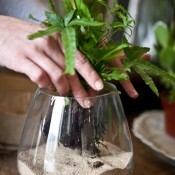 3) Shake out the extra soil around the roots of your plant and gently place it into its new home. 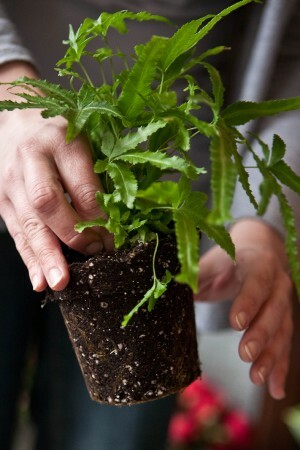 4) Add a little of fresh soil around the roots until is compact and comfy, but not too solid. 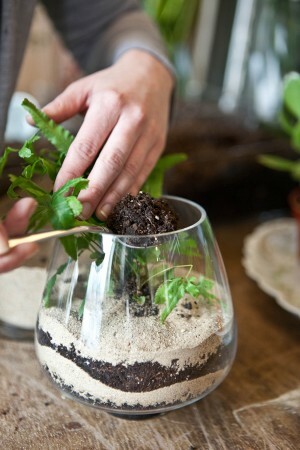 5) Depending on how deep your vase is, you can add another layer of sand, soil or even some moss for an extra lush aesthetic. 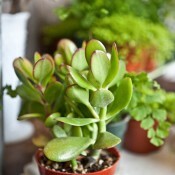 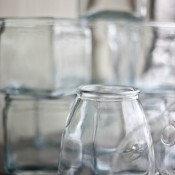 6) Add a little water when you’re finished, and the best part about these little guys is they’re best kept left alone! 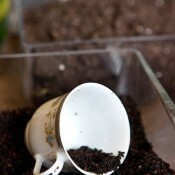 Keep the soil moist but not soggy and allow them to slowly grow. 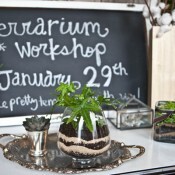 Floral by Fleur and images by Jennifer Kathryn Photography for Elizabeth Anne Designs. 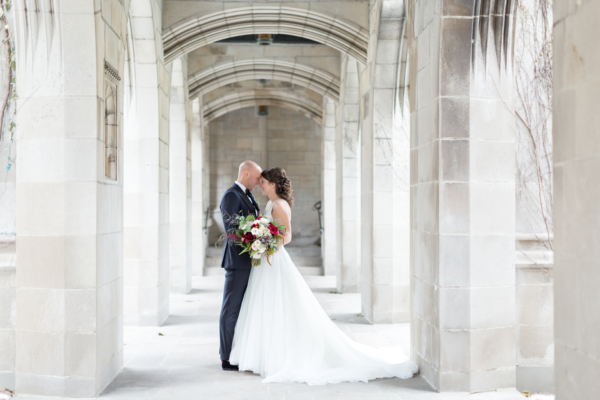 *Fleur and Jennifer Kathryn Photography are featured Chicago vendors. 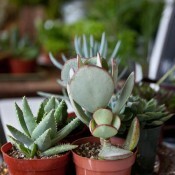 For information on EAD’s editorial policies, click here.